A designer spends around 8-12 hours a day in their office. This means almost half of your day you’re holed up in your cubicle, doing projects, web layouts and designs for clients. Because you spend almost half of your day in the office, you should make your office at most enjoyable, and at least live-able. If you’re feeling a bit uninspired in your office, it’s time to spruce up your office. You don’t need any major renovations, just add a few creative office items here and there. This calendar is fun and festive. It cheers up everyone in the office, with the balloon’s carefree feeling. It comes with different colors for the different months of the year. Every artist or designer needs a notepad to write down important notes and reminders, or to doodle that next big idea. But wouldn’t it be cooler if you put them on walls like a graffiti artist? The walls notebook is perfect for this–it has 80 clean New York ‘walls’ for you to paint, tag, graffiti or scrawl on. It’s creative, cool, and you won’t risk the chance of being arrested for vandalism. Spice up your otherwise boring desk with this quirky 8 bit flower bouquet. Perfect for geeks at heart. A great mouse designed like a cursor, by Art Lebedev Studio. It is designed to fit the hand for ultimate comfort and flexibility. Stress balls are great for keeping yourself sane. It’s great to keep your nerves in check, especially if you feel like you want to burn the whole building down or tear your client’s head apart. These stress balls are fun, you squeeze them hard and blisters will protrude. Diseases available are cooties, smallpox, zombie virus and bubonic plague. A cigarette that’s actually useful. The USB beverage cooler is retro stylish with a blue LED light inside. This gadget keeps your beverage cool in a stylish way. Your office mates will be jealous. 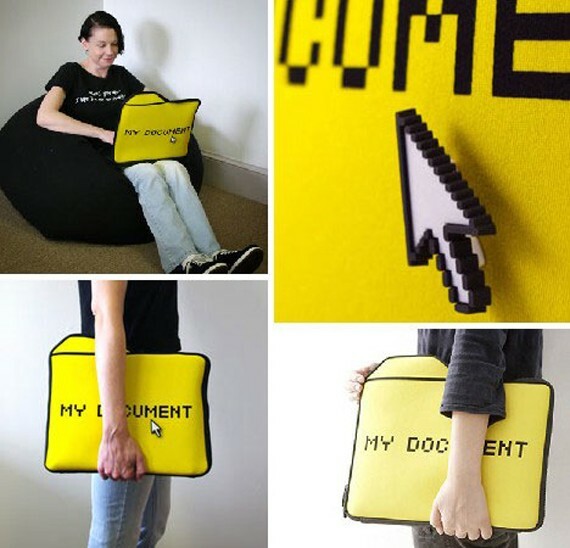 The ultimate laptop sleeve for web designers and developers. It even has a removable cursor. Often the use of the paper comes to end when it is torn, crunched up and thrown in the dust bin. 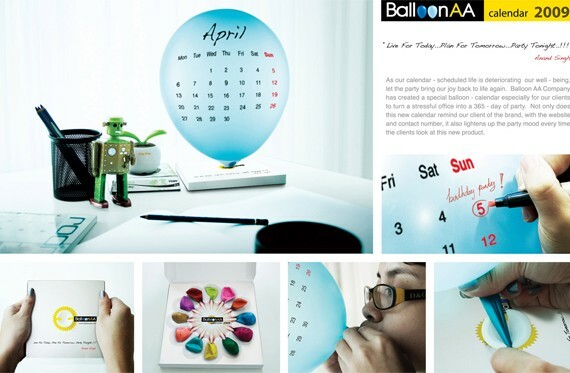 But this creative notepad design extends its life use by making it more fun. The Play More notepad is designed by dutch design firm Trapped in Suburbia and was a finalist for the European Design Awards. A multi-socket outlet that can be removed and rotated on whim. Ninjas can work in an office too, you know. And they work with a vengeance. Whether you’re a photographer or not, you’ll appreciate this smart USB flash drive. Like a real SLR camera you can detach the lens from the camera body. The camera lens serves as the USB, a great device for transferring your images and documents from one place to another. They also come in many different lens types. Just lovely. Now you never have to write important reminders on your hand again–there are 300 other hands to write on, such as this awesome Talk-to-the-Hand sticky notes. Hook various USB devices with the boy’s hands and feet. At first look it seems like the arrows are magically keeping your books in place. But in actuality, the arrows are magnetic and the end books have a thin metal piece inside, keeping the arrows magically afloat. Your office will look like a Dali surrealist painting with this lovely addition. 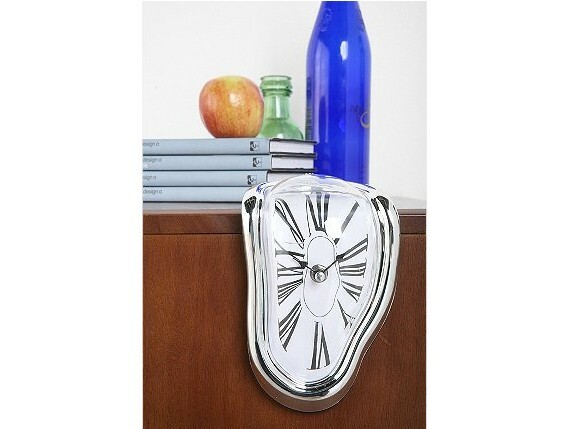 The melting clock makes a great timepiece at the same time decor to every room. This bag is a rock star. When you strum it, it plays a realistic electronic rock guitar sound–bring music with you anytime, anywhere. It can play all the basic chords. Plus, it’s the perfect bag to place all your designer essentials: laptop, pens, notepads, and the like. I just learned something: a plastic thing that looks so ugly and discarded can look like a work of art in ceramic. It is designed by Robert Brandt, and since its introduction in 1975, it has become a hit for keeping all types of liquids. An awesome tool that can staple papers together–without the use of staples! It’s handy, safe and environment friendly, too! If you are a sucker for all cute things (like me), you’ll love these stickers. They turn your everyday office supplies into friends. Even something as simple as this can make your day more enjoyable. If you want to make a geeky statement, opt for this simple but ultra-geeky circuit board mouse pad. This unique mouse pad design is made from real recycled circuit boards. It’s simply a cute rubber monkey with flexible arms to keep your wires and cables organized. It’s a ball pen carefully disguised as a pencil. Clever, isn’t it? If you are more of a tea than coffee person, you’ll love this. Have your own personal ‘tea party’ (pun intended) with your favorite political figures, royalties and strippers with the DemocraTea, RoyalTea and StripTea, respectively. Each set comes with 5 tea bag sachets. Isn’t it annoying when you lose your car keys on your messy bag or desk? Now you don’t have to worry about that by getting yourself the magnetic key holder. It is a pretty strong magnet, and can hold up to 30 keys at a time. You’ll never lose a single key again. It’s the 21st century, and while we are needing bulky filing cabinets less and less, we still need one for keeping a few important documents and papers. And who can deny these uber-cool and uber-geeky Super Mario filing cabinets? 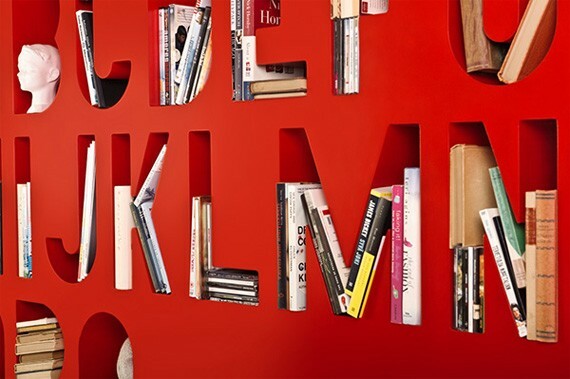 The Alphabet book shelf is great for storing books on web design and others. 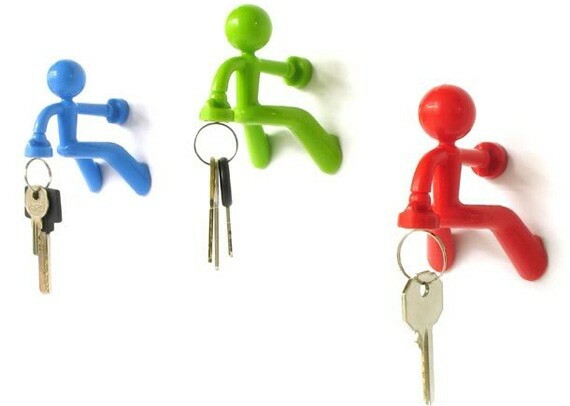 Keep it in your office or your home, it could make an otherwise boring space into interesting and interactive. A dry erase board to simply write what’s on your mind: project deadlines, meetings with clients, shopping lists, your kid’s carpool schedules, etc. Every designer must have a resting nook in a corner. Wouldn’t it be great to sleep on a grizzly bear without being mauled? And now I should go and probably get myself the Lock mug.